Thousands of students out of the classroom, teachers who can not follow the didactic program, and dozens of closed schools are the consequences of a phenomenon that does not stop growing in Argentina, the anonymous connections that denounce the placement of bombs in educational institutions. “If you do not evacuate Jefferson College in less than 5 minutes, I’ll blow you up, you understand? Evacuate now!” You hear in one of the audiences released by the authorities, who reported that two other anonymous calls with the same voice repeated the threat. The authorities of the country warn of the seriousness of the situation. Last month, up to 2,800 similar phone calls were received, according to the Ministry of Security of the province of Buenos Aires. From September 1 to October 4, almost 3,000 anonymous calls were made to the Argentine emergency services, which immediately alerted the threatened school and evacuated it. Both teachers and students suffer the results of continuing threats and said that almost every day their activities are interrupted, a problem that has already opened several lawsuits. 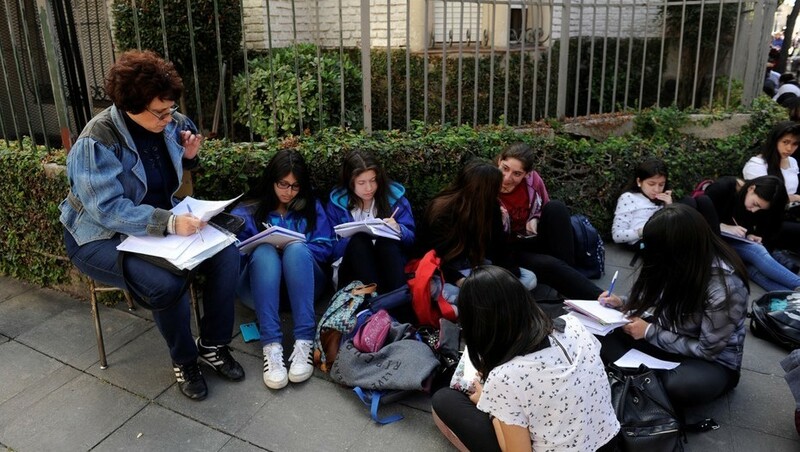 Provincial authorities continue to carry out investigations to reach those responsible for the threats, and the Buenos Aires courts have begun to sue the parents of some adolescents already identified as perpetrators. Buenos Aires Security Minister Cristian Ritondo said in early October that the threats were not “a joke” but “a crime” and that there were “several detainees” in different cities in the province. Last week, security forces detained three 12-, 13- and 18-year-old girls, two of the sisters, and a 16-year-old boy after search and seizure operations, according to Ministry of Security sources. In recent days, more than 50 people, both adults, and children have been brought to justice, and the province’s Ministry of Security has confirmed 120 cases in process for the same reason. Gustavo Ferrari, justice minister of the province of Buenos Aires, told the local TV station “TN” last Friday that every mobilization in a school affected by a threat costs the government about 100 thousand pesos (the US $ 6 thousand). The politician said that the government is studying, in addition to punishments, that these anonymous complaints are considered a “civil crime” that obliges the perpetrators to pay the expenses of evacuating the schools. On the eve of the legislative elections in which a third of the Senate (24 seats) and half of the House of Representatives (127) will be renewed, several ruling politicians have already spoken about it. The last to do so was the Argentine Security Minister, Patricia Bullrich, who in statements to the radio “Continental” attributed the case to a “deeper” reason. “The bomb threats in the schools are symptomatic of a construction of a type of violence that does not correspond to the democracy we want. Faced with a political situation of growth and government consolidation of the (party coalition) We change, a situation of attempt is generated of chaos, “said Patricia.